At Young Landscapes we have an experienced and knowledgeable staff ready to handle anything Old Man Winter wants to throw our way. Our commercial snow services range from managing parking lots for small businesses all the way up to large corporate complexes. We work hand in hand with property owners / managers to create the most efficient way to clear the snow and ice from their property. When it comes to snow & ice safety is our utmost concern. We tailor a management solution that will ensure the safety of your patrons from a zero tolerance contract all the way up through the largest snow events in history. Rest assured that your property is safe from everything winter may bring. 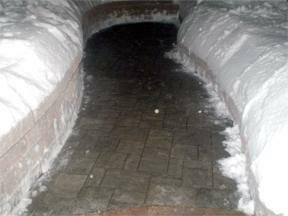 A contract with Young Landscapes is the best snow insurance available.